The recent digital presence of Nestlé Maggi has not been any lesser than the Indian television daily soaps, considering their soaring drama quotient. Keeping in mind the consumer’s affection for the product, it’s no customary cult, but a lifestyle choice people have made for themselves. Talking about their sugary, intimate consumer-Maggi relationship, the brand has popped up yet again knocking on your screens with a spicy surprise with 5 comedians and 1 celebrity VJ. This 2-minute instant noodle brand has been through much of a rough ride and so have we, with it. Before we talk about today, let us take a look at yesterday when the real trouble erupted in the market and reflected on the internet. Remember those days of despair when the country’s favorite noodles were taken off the shelves? Yeah, Twitteratis couldn’t stop the rant as #MaggiBan was put on hold by food inspectors for containing monosodium glutamate (MSG) and lead in excess of the permissible limit. @Banjaarann I don’t understand the whole fuss around it. Not that Maggi was promoted as a health food all this while. Dear #Maggi, I have grown up loving you. I am heart broken to know that you have been a poison all through out. 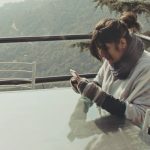 Next phase, the brand left no stone unturned to make this narrative Bollywood-y by coming up with a series of videos titled #WeMissYouToo – that’s exactly when people stretched their long ‘awws’, which in fact echoed the triumph of this campaign. After five months of its ban, finally, the brand took up to Twitter to announce what we all had been waiting to listen. The tweet came out, ‘Your favorite MAGGI Noodles are now back #WelcomeBackMAGGI’ which unsurprisingly took over social media. Thank you @MaggiIndia and #WelcomeBackMaggi ? This was all the limelight the brand stole recently with bang-on content marketing that kept competitors at bay from their top spot. Since this episode, we keenly observed how Maggi hit a chord on the emotional factor of their viewers; it’s time to perceive if the brand carries the same legacy forward with #HotHeadsExperiment, as after that scenario the brand has made a social media comeback with a new purpose, so we shall explore further. 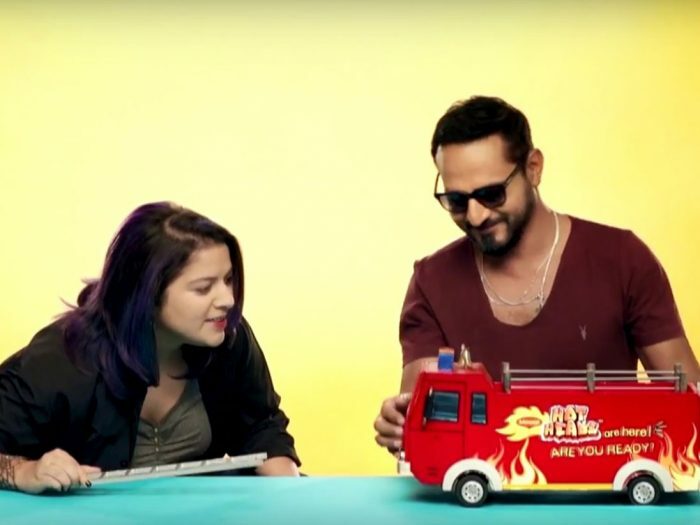 For years sticking to the classics, Maggi now came up with flaming flavors, taking the temperature of our taste buds higher than ever, for which they introduced a campaign- #HotHeadsExperiment with comedians like Azeem Banatwalla, Kunal Rao, Daniel Fernandez and Aditi Mittal and celebrity VJ Nikhil Chinapa. The video has received a whopping 150k views since its release on August 17th and the film was followed by a lengthy Twitter contest. Firstly, the cheery video which was pretty candidly shot revolved around a fire truck that was being investigated by these personalities. Cracking lose jokes and keeping casual conversations the video moves ahead as they empty the trunk of the truck filled with items like a water bottle, lip balm, hand fan, towel, tissues and some sugar packets. The HotHeads truck, in fact, was a metaphor for what was coming ahead as later the Maggi Hot Heads packets were introduced with different flavors of elevating spice levels – Peri Peri at level one, Barbeque pepper at spice level two, spice level three is chilly chicken and finally the spiciest level four green chilly noodles. In the last phase, the comedians and the VJ try out these new flavors in the ascending order of their spice levels and in fact make use of the products given to them thus signaling towards the high spice levels. Are spicy lovers salivating already? The contest seemed to be the highlight of the campaign, which acted as the phase two, succeeding the introductory video. Questions of kinds were tossed at Twitteratis; the first one asking them to describe the HotHeads Truck in five words. Q16. If MAGGI #HOTHEADS flavors were superheroes, what would their powers be?#HotHeadsExperiment ? The brand had 24 HotHeads Truck to give away and kept the questions precisely around the video urging fans to view it vigilantly. The questions and answers flew in rapidly keeping their page absolutely active and fast forward during their entire period. This Twitter campaign was live as results were announced before posting the next questions, keeping the interaction instantaneous and speedy, almost making use of Twitter as Snapchat which strongly believes in rapid, real-time conversations. For the 4th winner of this sizzling #HotHeadsExperiment! ? got my Fire truck for my Maggi. First of all, the brisk nature of Twitter worked in the brand’s favor by not lagging the process and keeping the lengthy question-answer round flowing, which hooked on to the Twitteratis. With the results being announced instantly, it did not keep people waiting, but also triggered more to become a part of this live campaign. Considering the questions were formed by picking chunks directly from the film itself, viewers traced their way back to watch it thoroughly, which was a genius move from the brand as it effortlessly got them more views. As far as the film is concerned, it was more of a trailer as to what these products have to offer and what the viewers should expect from them. The symbolism with the fire truck was commendable and those products summarized the flavor. Basically the brand briefed their viewers from head to toe about their product and the hashtag name also gives some away. The script, whereas could have used some brushing up because as a viewer with five comedians within one frame we did expect some comedy after all, which unfortunately wasn’t delivered. Keeping aside the corny and casual conversation, there wasn’t much to gag about. Through this campaign, Maggi still upholds its social media image by creating an admirable, note-worthy story, though slightly sliding from its previous image. It flourishes itself as a stable brand now by coming up with a more product oriented campaign rather than focusing wholly on building their consumer relationship. The campaign #HotHeadsExperiment would receive 3.5 chilies out of 5.